The premeditated murder of reporter Jan Kuciak, who had investigated fraud involving businessmen with Slovak political ties and suspected mafia links, sparked nationwide protests and brought down the government in Slovakia. 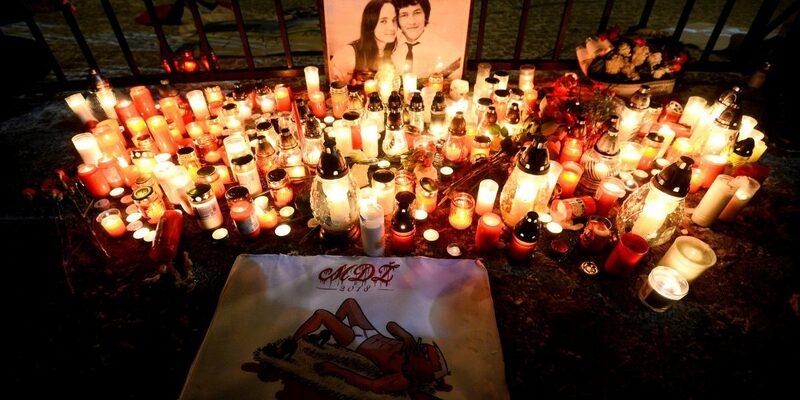 Bratislava: Three people have been charged in Slovakia’s with the premeditated murder of investigative reporter Jan Kuciak and his fiancee, which sparked nationwide protests and brought down the government. Kuciak had, among other things, investigated fraud involving businessmen with Slovak political ties, and the suspected mafia links of Italians with businesses in Slovakia. A prosecutor said in March the murder was likely to have been a contract killing related to Kuciak’s work. The state prosecutor was due to ask a judge to allow the suspects to be held in custody, the spokeswoman for the state prosecutor’s office said in an emailed statement. The suspects were detained in a house raid on Thursday morning. Five others detained in the same raid were released, the spokeswoman added. Kuciak’s final story, published posthumously, reported on an Italian living in Slovakia with past business links to two Slovaks who later worked in the office of then-prime minister Robert Fico. Both of the Slovaks resigned, but deny connections to the murder. Their Italian former business partner has also denied having connections with the mafia and the murder but was detained on a European drug trafficking warrant in March and extradited to Italy in May. Weeks of public protests in March eventually forced the departure of the long-serving Fico and his interior minister, Robert Kalinak, as well as police chief Tibor Gaspar. However, Fico’s three-party coalition has remained in power under Prime Minister Peter Pellegrini, who comes from the Smer party, which Fico still heads.